For this campaign, Naked wanted to show the role that juice plays in everyone’s day-to-day life: where you drink it, why you drink it, and what makes you crave a Naked smoothie or juice. 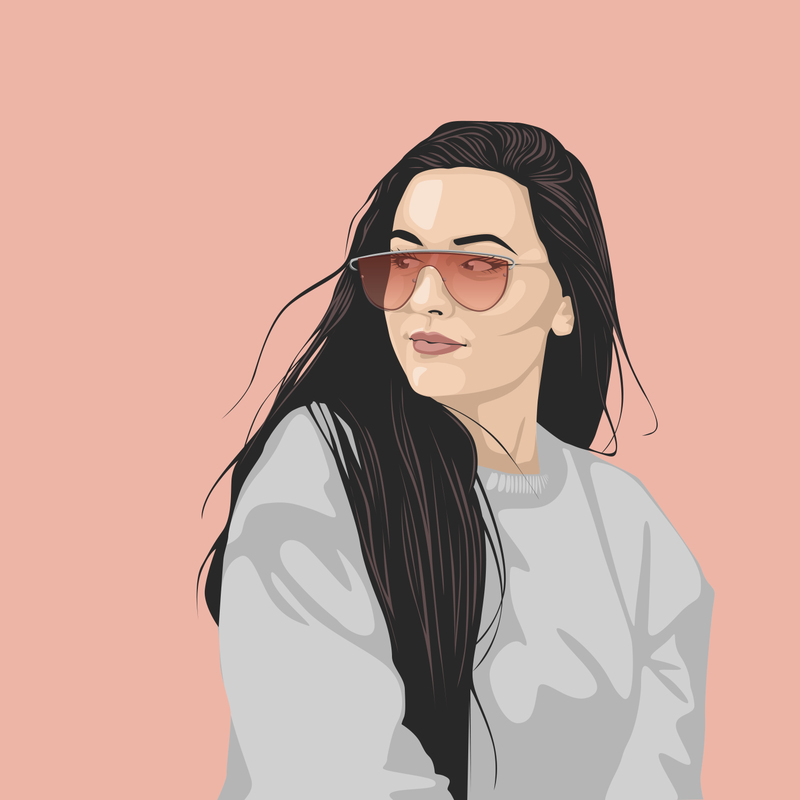 They wanted interesting creators to showcase their juices in unique circumstances, which is why they wanted to work with a wide range of influencers. Ampisound’s feed is full of pictures and slo-mo videos of himself in various incredible poses; such as in mid air, upside down and jumping from the top of buildings. No, Scott Bass (the creator of the account) isn’t a magician or a lucky thrillseeker; he’s a free runner. For the uninitiated, free running (also known as Parkour) involves running and jumping in urban areas, to and from huge heights. We dare you to try and watch one of his videos without holding your breath. “I gained inspiration for the content from seeing tourist photos where they hold the eiffel tower in their hand, through forced perspective. I realised that with Parkour being all about using obstacles for movement, we could place a product in a way that resembles an obstacle through that forced perspective. In this particular image, the athlete is actually using a small metal post to flip off, with the bottle held closer to the camera. The trick is to use an extremely wide angle lens to help make the perspective more extreme." 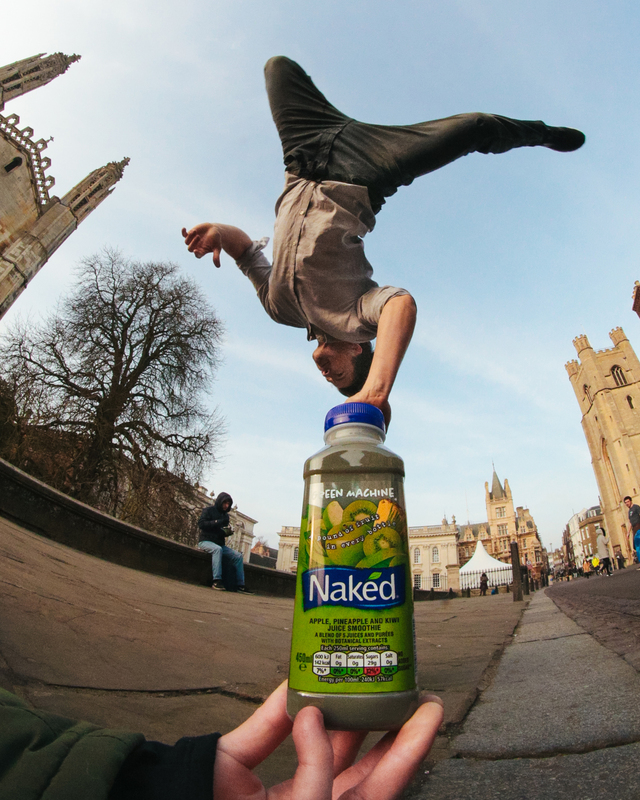 In other words, by trick of the camera, it looks like the free runner is upside down, holding his weight up via a bottle of Naked juice. Gnarly.